Lynda M. Collins is a Professor with the Centre for Environmental Law & Global Sustainability at the University of Ottawa Faculty of Law. Professor Collins is one of Canada's leading experts in the law and policy of toxic torts. She has practised toxic tort litigation in Canada and the US, at both the trial and appellate levels. Professor Collins has published widely on a variety of issues in toxic torts, with a particular focus on the law of toxic causation. She has testified in environmental hearings at the Canadian House of Commons and Senate and at the European Parliament and consults with a range of governmental and non-governmental organizations. She served as Co-Chair of the Province of Ontario's Toxics Reduction Scientific Expert Panel. Professor Collins is also an expert in the domestic and international law of environmental human rights. She has published on a range of issues in this area including constitutional environmental rights under the Canadian Charter of Rights and Freedoms, Aboriginal environmental rights, and the environmental rights of future generations. She is particularly interested in the interplay between the Precautionary Principle and the protection of environmental human rights. Professor Collins has consulted with a number of domesitc and international organizations, including various UN organs, on the development and implementation of environmental human rights. 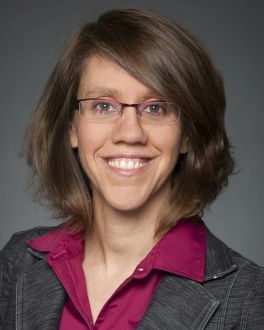 Before entering academia, Professor Collins practiced with Ecojustice Canada, litigating major environmental cases in tribunals ranging from the Ontario Municipal Board to the Supreme Court of Canada. From 2003 to 2005, Professor Collins practiced toxic tort with a leading San Francisco law firm representing state and local governments in complex multi-district litigation against the oil industry to recover damages for drinking water contamination. Lynda Collins, Nathalie Chalifour, Heather McLeod-Kilmurray, “Public wrongs, private rights : private law remedies for climate change” in Sébastien Jodoin, et al Handbook on Human Rights & Climate Governance (2017) (London : Routledge, forthcoming). Lynda Collins & Natasha Bakht, “The Earth is Our Mother: Protecting Indigenous Sacred Sites in Canada” (2017) (McGill Law Journal – forthcoming). Lynda Collins & Heather McLeod-Kilmurray, “Common Law Approaches” in Lee Paddock ed., Elgar Encyclopedia of Environmental Law (2017) (London: Edward Elgar Press, 2017). Lynda M Collins, “Judging the Anthropocene: Transformative environmental adjudication for the Anthropocene Era” in Louis Kotzé, ed., Environmental Law for the Anthropocene (London: Hart Publishing, 2017). Lynda M Collins & David Boyd, “Non-Regression and the Charter Right to a Healthy Environment” (2016) 29 J Env L & Prac 285. Lynda M Collins, “Safeguarding the Longue Durée: Environmental Rights in the Canadian Constitution” (2015) 71 SCLR (2d) 519. Lynda M Collins & Laura J Freitag, “Rescuing Rylands: Strict Liability and Environmental Protection in Canada” (2015) 23(2) Tort Law Review 85. Lynda M. Collins, “The United Nations, Human Rights and the Environment” in Louis Kotze & Anna Grear, eds., Research Handbook on Human Rights and The Environment (London: Edward Elgar, 2015). Lynda M. Collins & Sarah Morales, “Aboriginal Environmental Rights in Tort” (2014) 27 Journal of Environmental Law & Practice 1 -21. Lynda M. Collins, “Evergreen? The Environmental Law of Torts (2014) 22 Tort L Rev 107-119. Lynda M. Collins, “Security of the person, peace of mind: a precautionary approach to environmental uncertainty” (2013) 4:1 Journal of Human Rights and the Environment 79-100. Lynda M. Collins, “Causation, contribution and Clements : Revisiting the Material Contribution Test in Canadian Tort Law” (2011) 19 Tort Law Review 86. Lynda M. Collins, “Revisiting Canada’s Position on the Human Right to Water” (2010) 19 RECIEL 351. Penelope Simons & Lynda M. Collins, “Participatory Rights in the Ontario Mining Sector: an International Human Rights Perspective” 2010) 6(2) McGill International Journal of Sustainable Development Law & Policy 177-216. Lynda M. Collins & Heather McLeod-Kilmurray, “Material Contribution to Justice? Toxic Causation after Hanke v. Resurfice” (2010) 48 Osgoode Hall L.J. 411. Lynda M. Collins & Meghan Murtha, “Indigenous Environmental Rights in Canada: the Right to Conservation Implicit in Treaty and Aboriginal Rights to Hunt, Fish and Trap” 47:4 Alberta Law Review 959. Lynda M. Collins, “An Ecologically Literate Reading of the Canadian Charter of Rights and Freedoms” (2009) 26 WJSLI 7-48. Lynda M. Collins & Heather McLeod-Kilmurray, “Toxic Battery: A Tort for our Time?” (2008) 16 Tort Law Review 131-149. Lynda M. Collins, “Protecting Aboriginal Environments: A Tort Law Approach” in S. Rogers et al., eds., Critical Torts (Toronto: Lexis, 2008) at 61-80. Lynda M. Collins, “Revisiting the Doctrine of Intergenerational Equity in Global Environmental Governance” (2007) 30 Dal. L. J. 73 – 134. Lynda M. Collins, “Environmental Rights for the Future? Intergenerational Equity in the EU” (2007) 16(3) RECIEL 321-331 (8.5 x 11 format). Lynda M. Collins, “Tort, Democracy and Environmental Governance: Crown Liability for Environmental Non-Enforcement” 15(2) (2007) Tort. L. Rev. 107-126. Lynda M. Collins, “Are we There Yet? The Right to Environment in International and European Law” (2007) 3 McGill Int’l J. Sustainable Development L. & Pol’y 119-153. Lynda M. Collins, “Strange Bedfellows? The Precautionary Principle and Toxic Tort: A Tort Paradigm for the Twenty-First Century” (2005) 35 Envtl. L. Rep. 10361-10372. Lynda M. Collins [85%], Jerry V. DeMarco [10%] and Alan D. Levy [5%], “Accessing Environmental Information in Ontario: A Legislative Comment on Ontario’s Freedom of Information and Protection of Privacy Act” (2004) 13 J. Envtl. L.& Prac. 267-287. Lynda M. Collins, “Material Contribution to Risk and Causation in Toxic Torts” (2001) 11 J. Envtl. L.& Prac. 106-142.